Love love love this series!!! The characters are vivid and fun to love and hate!! Okay trilogy. Not the best Stephen King. This was a great book, but clearly the middle of a series. I feel like I was just waiting to get back to the Brady Heartsfield story. I want more in this series! OMG! This book was great! Excellent narrator who drew me in. This is another great book by Stephen King. 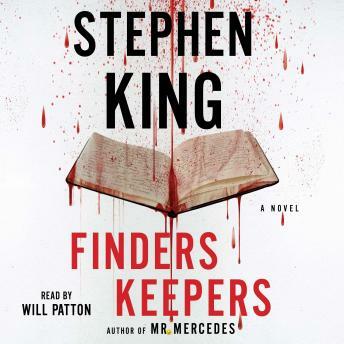 I liked Mr. Mercedes a little better, but this was still really good. Will Patton is an excellent narrator. I like how he changes his tone of voice depending on who he is talking about. Great job! What can I say except Bravo! As usual, Mr King did not let me down. Phenomenal story, had me from the first chapter. Will Patton again does a great job as well. I love the way Holly is growing as the books progress!